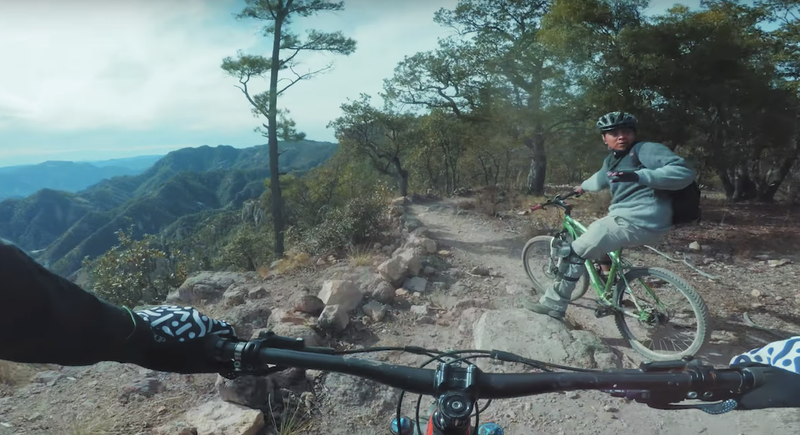 Mexico’s Copper Canyon is enormous—four times the size and more than 1,000 feet deeper than the Grand Canyon—but there’s no room for ego on its mountain-bike trails. Just ask Eric Testroete, a Vancouver-based mountain biker who Youtubes as BCpov. Testroete and his partner hired a young man named Luis to guide them down the trails, and received a memorable lesson on the limits of technology. Their cell-phone translation app was woefully inept, but that’s okay because Luis wasn’t there to talk. He was there to ride, bombing downhill on a $120 hard tail with bald tires. Testroete struggled to keep up with the kid’s flowy speed on his $6,000 steed, but checked his ego and giggled the whole way down the canyon’s Ruta Panoramica. So when Luis got to the bottom and spoke his first words of the trip—¿otra ruta?—the Canadians accepted his invitation for a second, steeper lap. Enjoy this fun film, but don’t go to Testroete’s Youtube page and promise to buy the kid a new bike unless you plan to follow through, because after 1.6 million views and more than 2,700 comments Luis is still waiting for that new ride. In the meantime he keeps quietly, joyfully ripping on the one he’s got.